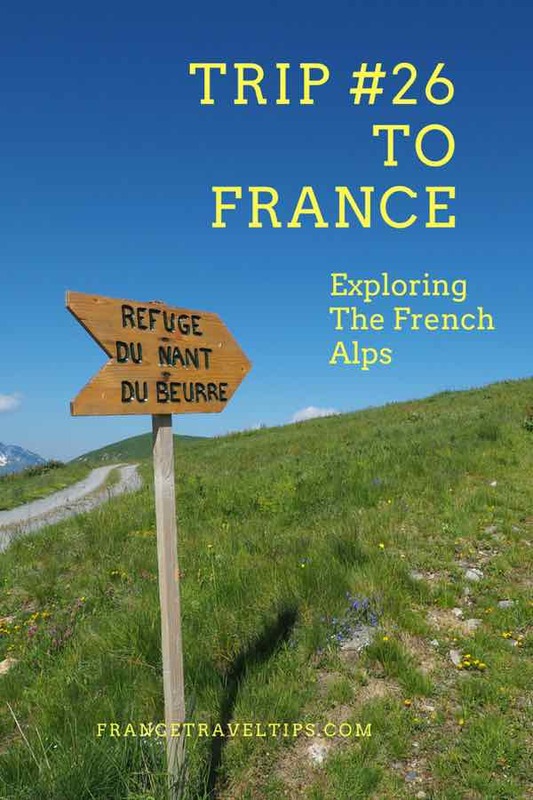 In July 2016 I visited the French Alps to do some hiking and to visit friends who lived just across the border in Aigle, Switzerland. My posts for July and August 2016 will give you more detail about the experiences and sites. To make my journey easier, I flew to Lyon and picked up a car. 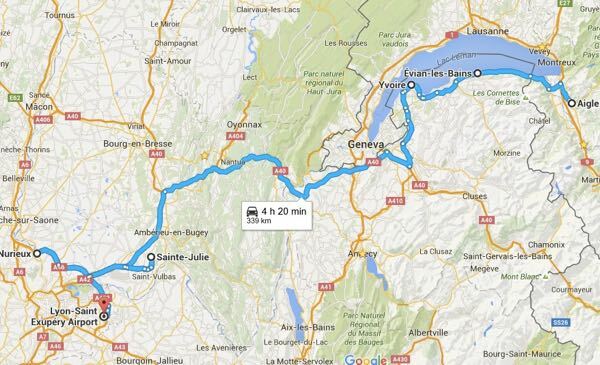 On the way to my first accommodation, Chalet Savoie Faire in Naves La Léchère, located southeast of Annecy, I stopped in Chambéry and Albertville, which hosted the 1992 Winter Olympics. Chambéry has many pedestrian-only streets, a medieval section and is a beautiful town that I am glad I visited. 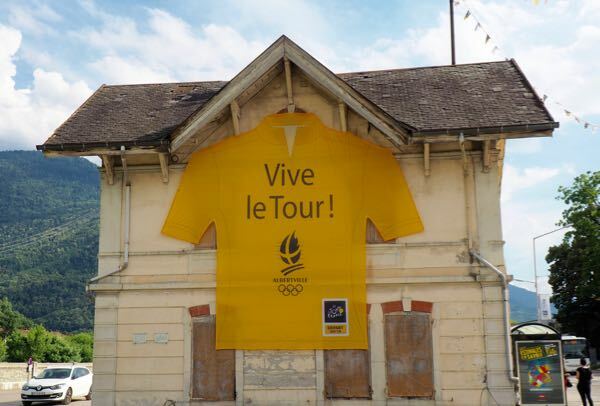 Albertville had a large Tour de France t-shirt sign as “Le Tour” was to go through this town. The best part of Albertville, however, was walking around the Cité Medievale de Conflans, located on the other side of the river, high up on a hill. I loved the signs for all the stores and the views of Albertville. 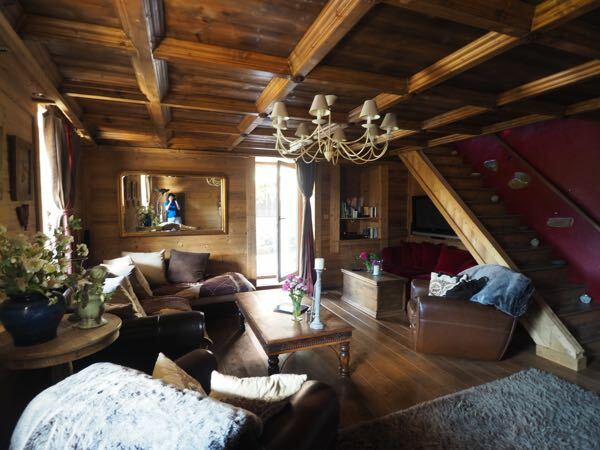 I stayed at Chalet Savoie Faire on the recommendation of friends of mine who stayed there for a wedding. The pictures speak for themselves. The food was also fabulous! I also did an amazing hike nearby where I got a great view of Mont Blanc. 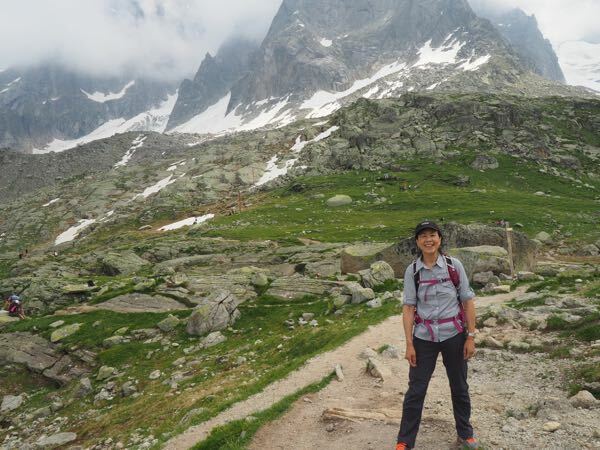 After 3 nights, I headed to Chamonix for one night. I had visited there many years ago and wish I had stayed for longer this time; however, the weather wasn’t great. A lot of rain. For those who have never been to Chamonix, I highly suggest taking the cable car (téléphérique) to the Aiguille du Midi which is a mountain in the Mont Blanc massif. 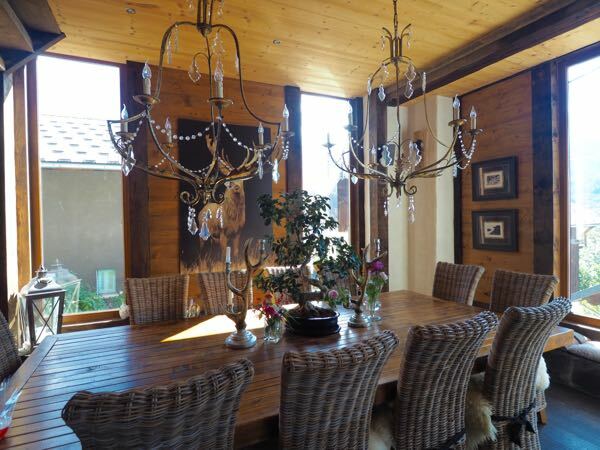 You will have stunning views and the opportunity to “Step Into The Void”, which is a 2.5 meter glass cage. 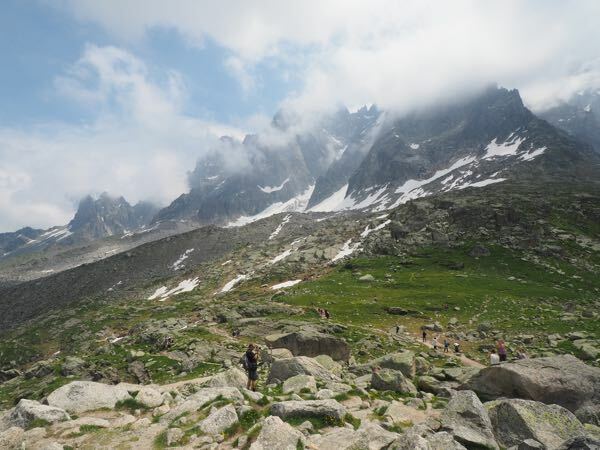 As I had been to the top previously, this time I decided to stop off at Plan de l’Aiguille and hike back down to Chamonix. The signs say it will take 4 hours; however, it took me about 2 3/4 hours. It’s rocky and you really have to watch your step as there aren’t any railings. I wish I had had hiking poles. As I was flying home from Lyon, I decided to travel via Évian-Les-Bains back in France (think Evian water) and a town near Lyon named Sainte-Julie. 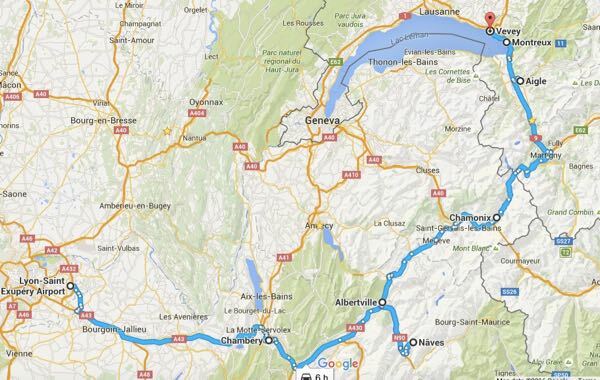 Évian-Les-Bains is another spa town but I chose it as it was near Yvoire, located just west of Évian-les-Bains. Yvoire is a small medieval town and fishing village on Lac Leman (Lake Geneva). It is well known for it’s beautiful flower decorations. 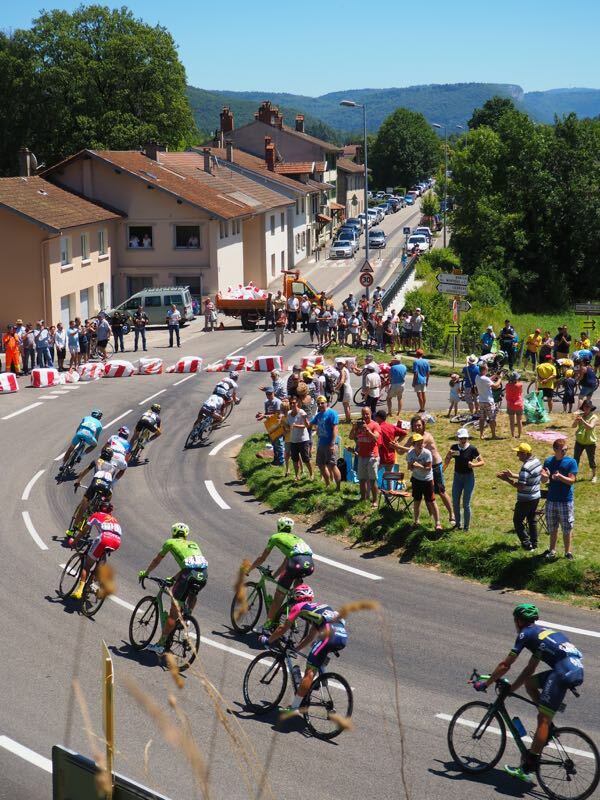 After Évian-les-Bains, I went to Nurieux to catch up with the Tour de France. This was one of the highlights of the trip. Timing was crucial as “Le Tour” passes by so quickly. I got there about 45 minutes ahead of the caravans, press cars and bicyclists and it was over in about 10 minutes. Before I headed home from Lyon I stayed at an amazing renovated chateau. 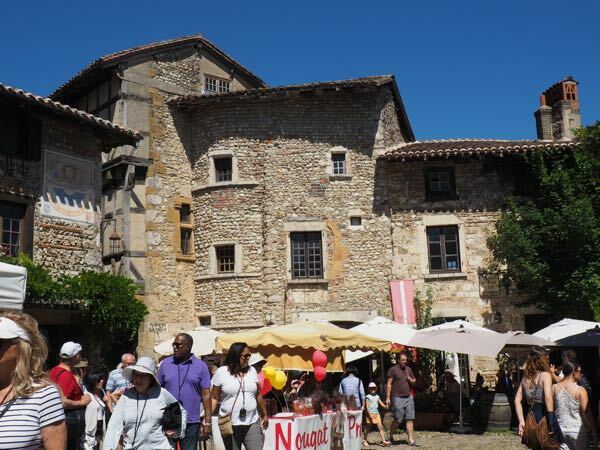 My accommodations were lovely at Les Chambres de la Renaissance and although the location is remote, in the town of Saint-Julie, it is only 10 minutes away from another medieval town, Pérouges (identified as one of France’s Most Beautiful Villages). I was disappointed with my visit there from a photography point of view as many buildings were blocked by tents and booths. It was market day and pretty crowded. Perhaps on a week day it would have been better.